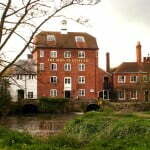 Discover the beauty of some picture perfect villages surrounding Farnham. Just five miles west of Farnham, Bentley offers a chance to visit a village which has not changed much in 100 years, with an attractive 12th century church, country pub, and a village fete that takes place every year in July. The ‘hamlet’ shop has been in the same family for four to five generations and boasts having starred in its own reality television show ‘The Village’. Bentley also has its own railway station. See the Bentley Village website for more information. Situated between Farnham and Haslemere, Churt is on the edge of some stunning swathes of heath and common land from Hankley Common to The Devil’s Jumps and the Flashes. Former Prime Minister, David Lloyd George, made Churt his home in 1921 and developed his estate in the village as he withdrew from the political scene. The Sculpture Park in Churt now attracts thousands of visitors annually with its “most amazing collection of sculptures set in woodland and water settings”. With its annual fete, Churt offers an afternoon of fun, games and entertainment for the whole family with tea and cakes by the WI and even a tug of war on the recreation ground. You can find out more information on Churt’s website. A typical Hampshire village just north-west of Farnham with a lovely traditional village church, pubs and well preserved cottages. The parish council website has lots of useful information. 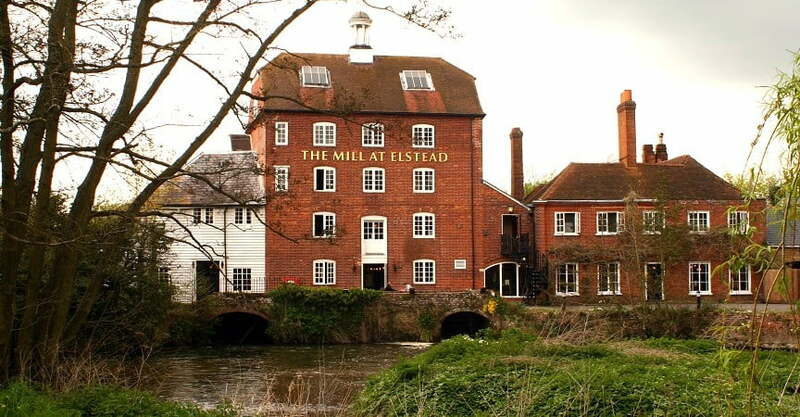 Regarded as a pretty little village, Elstead is surrounded on three sides by woods and heathland, and on the fourth by the River Wey water meadows. There has been a settlement in this part of the Surrey Hills for hundreds of years with links to the historical local economy and hops evident from the names of the pubs – ‘The Woolpack’, ‘The Golden Fleece’ , ‘Elstead Mill’ and ‘The Donkey’. Visit Elstead’s website to find out more about village life. Frensham is famous for its Little Pond and Great Pond, originally created in the 13th century to supply fish to the Bishop of Winchester whilst visiting Farnham Castle. 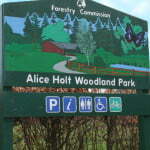 Today the ponds and the surrounding area and a sanctuary for wildlife and a Site of Special Scientific Interest. Look out for reed bunting, sedge warbler and great crested grebe, as well as nightjars and woodlarks. 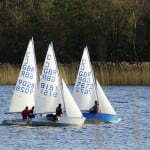 The ponds are also the backdrop for a hotel and used for sailing and fishing. The post office and village shop is a community run shop and the village hosts an annual village fayre in June with traditional activities to enjoy. 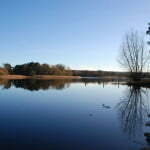 Frensham Parish Council’s website has more information about the area. Situated on the Hogs Back in the beautiful landscape of the Surrey Hills. 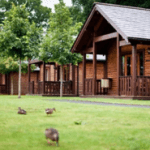 Seale and The Sands offer lots of sporting activities to enjoy, with a first class golf course, friendly bowling club and Woodland Woggle, a spring run or walk at the Hampton Estate, Seale. 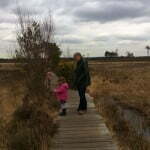 Thursley is a walker’s paradise, just west of the A3. It is on the edge of a National Nature Reserve with areas of open dry heath land, peat bogs, pine and deciduous woodlands to explore, all within the Surrey Area of Outstanding Natural Beauty. The ‘Three Horse Shoes’ pub is the perfect resting spot. 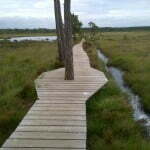 Find out more about Thursley on the village website. Tilford’s picturesque triangular village green with village cricket is often used in adverts for its idyllic portrayal of England. Sir Edwin Lutyens built the Tilford Institute which is now used for sports and events. The village boasts not one but two medieval bridges, one at either end of the green. The Rural Life Centre attracts visitors to learn traditional crafts and country ways of life. Luxury self catering accommodation at Tilford Woods can be found next to the championship qualifying Hankley Common Golf Club. 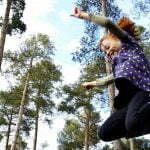 For more information on what to do and see in Surrey see the Visit Surrey website. 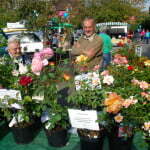 Seale Nurseries at the Farnham Farmers’ Market.